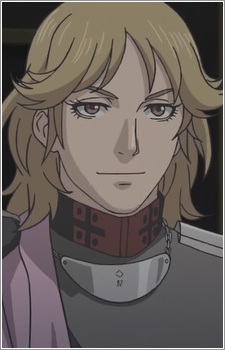 Sorūsh is a member of the Ades Federation's group of five generals. He leads the Fourth Fleet comprised of fast battleships that specialize in surprise attacks using their mobility. Having attended military academy together with Ōrang, the pair make a formidable combination. He possesses a cheerful personality. Sorūsh is named after the Zoroastrian deity of "Obedience" or "Observance".